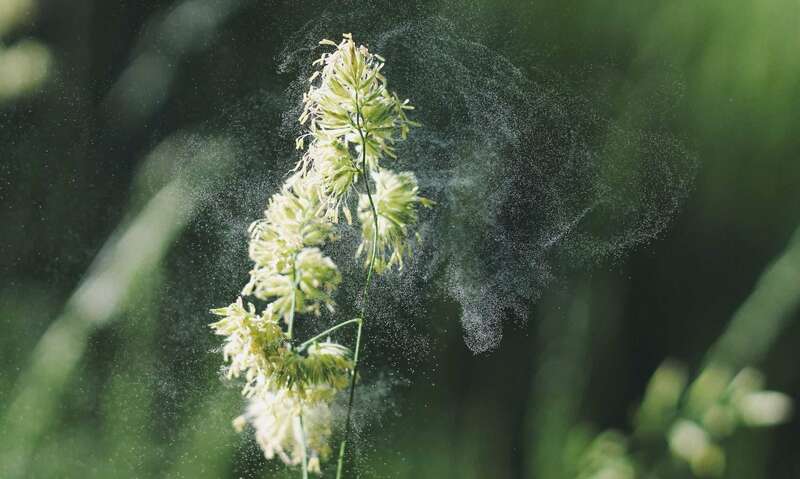 Spring is in the air and that means pollen, mold spores and other airborne allergens are going to bring on sneezing and wheezing for an estimated 50 million Americans. The spring season can be especially bothersome with so much conflicting information on how to find relief. To help you better understand spring allergies and combat symptoms this sneezing season, the American College of Allergy, Asthma and Immunology (ACAAI), has answered some of the most frequently asked questions. 1. Why does it seem like more and more people have spring allergies?This is likely due to increased awareness and more people taking the steps to being properly tested and diagnosed. According to a recent study published in the Annals of Allergy, Asthma and Immunology, pollen counts are gradually increasing every year, which can cause heightened symptoms. 2. Do spring allergy symptoms only last during the spring months?The length of the season can help determine the severity of symptoms. For many areas of the country, spring allergies begin in February and last until the early summer. Mild winter temperatures can cause plants to pollenate early. A rainy spring can also promote rapid plant growth and lead to an increase in mold, causing symptoms to last well into the fall months. Allergists recommend starting medications to alleviate symptoms two weeks before they begin. If you have a history of prior seasonal problems, start your medication at the first sign of any symptoms. 3. Will eating local honey cure allergies?A common myth is that eating a spoonful of local honey a day can build allergy immunity. The idea is that bees pick up pollen spores from flowers, transfer them to their honey and help you better tolerate pollen. Seasonal allergies are usually triggered by windborne pollen, not pollen spread by insects. There is no scientific evidence that honey will provide any benefit or reduce allergy symptoms. Your best bet? Talk to your allergist about ways to avoid allergy triggers, the best medications to treat symptoms and whether immunotherapy (allergy shots) could be beneficial. 4. Is there such a thing as spring asthma?Allergies and asthma are often worse during different times of the year due to environmental allergens. An estimated 75 to 85 percent of asthma patients have allergies. These allergic responses in the lung can lead to symptoms of asthma. If you have spring allergies, this can be why you have more asthma symptoms during the season. Those that believe they may have symptoms of nasal allergy or asthma can find a free screening program in their area by visiting www.acaai.org/nasp. 5. Can you suddenly develop seasonal allergies in adulthood?Yes. Although allergies are common in children, they can occur at any time and any age. Sometimes allergies go away, but they also can come back years later. If you suspect you have an allergy, you should keep track of your symptoms with MyNasalAllergyJournal.org and see an allergist to find relief. By understanding what allergens trigger your symptoms and how to avoid them, you can find relief from spring allergies this season, says Dr. Richard Weber, an allergist and ACAAI president. An allergist can help you find the source of your suffering and stop it, not just treat the symptoms. Allergies and asthma are serious diseases during every season of the year and that s nothing to sneeze at. Misdiagnosis and inappropriate treatment can be dangerous. Looking out the window and seeing snow fall, allergies may be out of sight and out of mind. However, in the Northeastern United States trees will start to bloom in about two months. For those of us allergic to tree pollen this can be a difficult time. Runny nose, sneezing and itchy eyes are more than a nuisance. Before you suffer, miss work or school, make a plan to beat spring allergies. Step 1. Find out what you are allergic to. Different plants pollinate at different times. For example, birch trees pollinate early in the spring, as soon as mid-March. Grass pollens tend to peak later on, in the early summer. Pollen is also highest in the morning hours (and late afternoon). Limit outdoor activity at dawn and dusk. Stay indoors as much as possible when pollen counts are at their peak. Keep windows closed at home and in the car. Use an air conditioner to filter the air. Clean or replace air-conditioning filters on a monthly basis with in use. Avoid using window fans that can draw pollens and molds into the house. Do not hang clothes outside to dry. After completing activities, change your clothes to remove pollen. A shower or bath is even better. Step 3. Start medications early. It is best to get ahead of your symptoms. As the season goes on, your body becomes more sensitive to pollen. This makes it harder to treat. Step 4. Know your options. Allergy treatments can help reduce symptoms when taken daily (pills, sprays). Other treatments (drops, shots) can help lessen your allergies over time, giving you long lasting improvement and less need for medication. See your allergist now, before it is too late. Spring pollen season has arrived! Check back here (or twitter.com/allergyct) for Fairfield County’s only local counts. Hypoallergenic dog or marketing myth? Dog allergies are very common, up to 20% of the population are affected. This has not limited the popularity and enjoyment of having a dog at home. The ASPCA estimates that 37-47% of all households in the United States have a dog. Patients with dog allergies may have upper respiratory symptoms (sneezing, runny nose, itchy eyes), lower respiratory symptoms (cough, wheezing) or even skin symptoms (itching, rash). An allergist can confirm dog allergy as the cause of these symptoms. What is a “hypoallergenic dog?” The substance produced by a dog, causing an allergy is an allergen. The word hypoallergenic means less likely to cause allergy. This implies that the dog would produce less allergen. As of today, there have been six identified dog allergens, named Can f 1, 2, 3, 4, 5 and 6. These proteins are found in hair, skin, dander (skin flakes), saliva and urine. Each allergen can be found in each type, or breed of dog. Can f 1 and 5 are considered major allergens, causing allergy in a large percentage of patients. However, patients can be allergic to any single allergen or any combination as well. Interestingly, Can f 5 is found only in male dog urine, suggesting that some patients may be allergic to male dogs only. These proteins come off the dog and are found throughout the home. For example in carpets, couches and pillows. They can also be found in places without a dog. For example, in a classroom or on an airplane. A Google search will recommend, if you have allergies buy a hypoallergenic dog. Dogs that do not shed or with wiry hair. So is there such thing as a hypoallergenic dog? A dog breed that produces less allergen than other breeds? Is there anyone certifying or testing breeds to show that there are real benefits? TITLE: Dog factor differences in Can f 1 allergen production. Allergy 2005. Allergen levels (Can f 1) were highest for Poodles (17) and Yorkshire Terriers (16) and lowest for the Labrador retriever (2). Males produced less allergen than females. There was no difference according to hair length or hormonal status. Skin seborrhea caused higher allergen levels. TITLE: Can f1 levels in hair and homes of different dog breeds: Lack of evidence to describe any dog breed as hypoallergenic. JACI 2012. CONCLUSIONS: Allergen levels in hair and coat samples were higher in breeds considered hypoallergenic. Although there was a lot of variability between dogs of each breed. The amount of allergen in dust samples was similar for hypoallergenic and other breeds. Although certain dog breeds are described and marketed as being “hypoallergenic”, no evidence was found that these breeds are less allergenic. TITLE: Dog allergen levels in homes with hypoallergenic compared with nonhypoallergenic dogs. American Journal of Rhinology & Allergy 2011. CONCLUSIONS: Clinicians should advise patients that they cannot rely on breeds deemed to be “hypoallergenic” to in fact disperse less allergen in their environment. The evidence is pretty clear, at this time there is no “hypoallergenic” dog breed. Some dogs may produce more allergen than other dogs. Some people may be more allergic to one dog than other dogs. There is no consistency for which breed is best. Here are some tips for patients with dog allergy. Unfortunately, they are based more on common sense then scientific evidence. Choose a small dog. They will shed less dander. Keep the dog out of the bedroom and other rooms in which you spend a lot of time. Keep the dog out of the house. Remember, dogs may bring pollen or other allergens inside with them. Remove carpet or other places dog dander may reside. MOST IMPORTANTLY: see an Allergist. Generic Nasonex will soon be available for allergy sufferers. Apotex, is a generic pharmaceutical company, based in Florida, has successfully gotten FDA approval of the generic Nasonex (mometasone furoate). Generic Nasonex will still need a prescription. This is different than over the counter nasal steroid sprays that are available without a prescription from your doctor. There are currently 3 over the counter nasal steroid sprays available. Flonase, Nasocort and Rhinocort. Many insurance companies are not covering any prescription nasal steroid sprays because others are available over the counter as we mentioned earlier. Although some patients seem to respond better to one more than another. Recently newer types of nasal steroid sprays have come on the market, Qnasl and Zetonna. These are nasal aerosol sprays that are not in a liquid form, so patients do not get the post nasal drip symptoms. 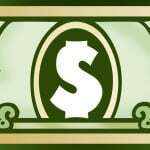 Generic Nasonex likely won’t be as cost prohibitive as the branded version of Nasonex, making it more affordable for patients. 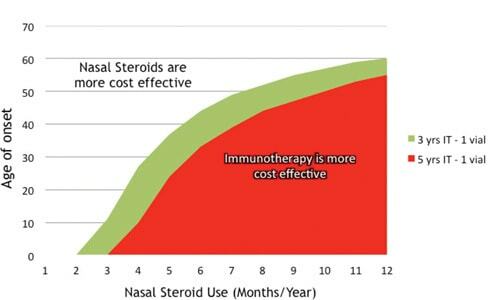 Nasonex is the only nasal steroid spray that has an indication for nasal polyps. Seasonal and perennial allergic rhinitis is a major problem in the United States. Many allergy sufferers are allergic to allergens such as tree pollen, grass pollen, weed pollen, dust mites, cat dander, dog dander and molds. 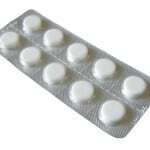 First line treatment for nasal congestion symptoms are nasal steroid sprays such as Nasonex. Generic Nasonex will be very helpful to many patients who did not insurance coverage for the branded version Nasonex, although it remains to be seen if insurance carriers will cover generic Nasonex or they still may say the patient will have to try over the counter versions of nasal steroid sprays such as Flonase, Nasocort or Rhinocort. The FDA has approved the first product for oral immunotherapy! Oralair is a tablet containing five grass allergens; Sweet Vernal, Orchard, Perennial Rye, Timothy and Kentucky Blue Grass. 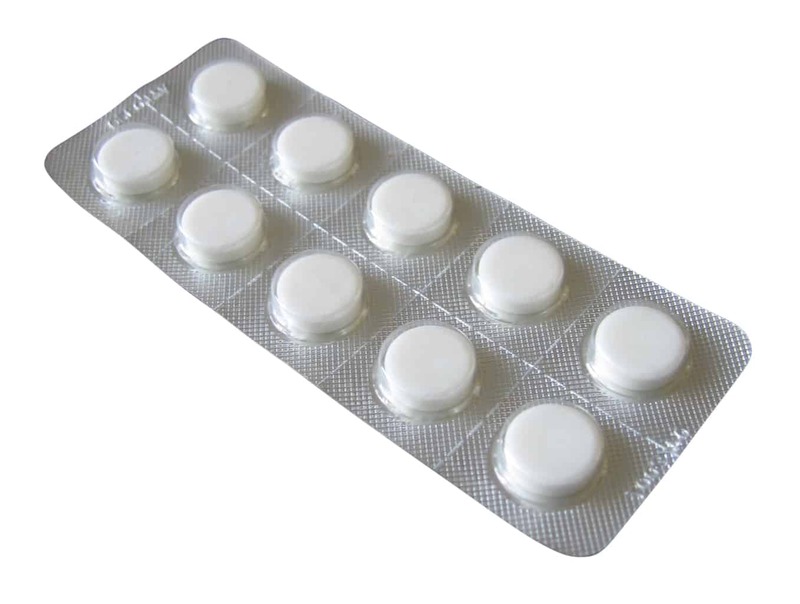 It is manufactured by Stallergenes, a French pharmaceutical company. It will be marketed and sold in the United States by Greer Laboratories. Allergy immunotherapy is the most effective treatment for environmental (and possibly food) allergies. It is all natural, containing only the allergens you are allergic to, and the only treatment that prevents disease. Immunotherapy can be given as a shot, drop or tablet. It is no surprise that our first [glossary slug=’sublingual’]sublingual[/glossary] option is coming out of Europe. For many years, allergists in Europe have chosen the sublingual route rahter than subcutaneous (shots). There are other differences in the way allergies are treated here and abroad. Most sublingual products contain only one allergen. 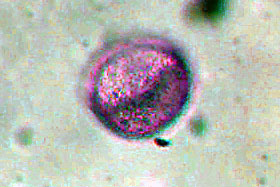 For example, grass pollen. However, up to 40% of patients have allergy to more than one substance. Allergists in the United States attempt to treat as many of the patient’s allergies as they can, administering a mix of several allergens in shot form. For example, grass pollen plus dust mites. Here is a more complete discussion, see this article (Allergy Tablet Approval Warrants Caution for Some). It is not clear which method is better, one allergen or many. Probably there is no one right answer that would apply to everyone. The same is true in the debate, shots vs. drops/tablets. Shots are more effective but drops/tablets are more convenient. In the end, the approval of ORALAIR provides an additional treatment option for allergy specialists and their patients. If more patients get treatment then we all benefit. For best results, Oralair should be started 2 months prior to the grass pollen season. In the northeast, May and June are the months with peak grass pollen levels. If Oralair is available this May then it would be too late for 2013. – Grass allergy is the most common seasonal allergy in the United States and most people are allergic to more than one type of grass. ORALAIR contains a mix of five grass pollens: Sweet Vernal, Orchard, Perennial Rye, Timothy, and Kentucky Blue Grass. The five grass pollens contained in ORALAIR represent those to which most patients in the U.S. are exposed. – ORALAIR is indicated as immunotherapy for the treatment of grass pollen-induced allergic rhinitis with or without conjunctivitis confirmed by positive skin test or in vitro testing for pollen-specific IgE antibodies for any of the five grass species contained in this product. ORALAIR is approved for use in persons 10 through 65 years of age. – ORALAIR is a tablet that dissolves under the tongue. The first dose is taken in the doctor’s office under medical supervision, and subsequent doses are administered once a day by the patient or the patient’s caregiver. ORALAIR treatment should be started four months before the expected onset of each grass pollen season and continued throughout the season. Allergy symptoms are reduced beginning with the first grass pollen season. – ORALAIR was originally approved in Europe in 2008 and is currently authorized in 31 countries around the world, including most European countries, Canada, Australia, and Russia for the treatment of grass pollen allergy. In Canada, ORALAIR was launched in 2012, making it the first allergy immunotherapy tablet to be registered and marketed in North America. Worldwide post-marketing experience with ORALAIR includes more than 20 million doses given to more than 110,000 patients. – ORALAIR has been approved based on results from an extensive clinical development program. ORALAIR has been studied in double-blind, placebo-controlled trials, in both Europe and the United States in over 2,500 adults and children. The results of these trials demonstrated that pre-seasonal and co-seasonal treatment reduces patients’ allergy symptoms and their need for symptom-relieving medication. In the clinical development program, the most common adverse reactions for ORALAIR (reported in >=5% of patients) were oral pruritus, throat irritation, ear pruritus, mouth edema, tongue pruritus, cough, and oropharyngeal pain. It is clear to those suffering, allergies cause stress. Constant runny nose, decreased quality of sleep, missed days at school and work are among the many reasons why. A new study from Ohio State University* flips this conclusion on its head and asks; can stress cause allergies? Our bodies immune system is not limited to the nose. It involves organs and cells throughout the body. The inflammatory chemicals produced during an allergic reaction can have wide ranging effects. Likewise, the endocrine system will respond to stress by increasing (or decreasing) hormone levels throughout the body. These two systems do not live in isolation. In this study, subjects were asked to complete daily diaries. They recorded allergy symptoms, mood and stress levels using a secure website. The data showed that patients with higher stress scores experienced more allergy flares. Also, there was a similar relationship between negative mood and rhinitis symptoms. For most patients, the effect was spread out over time, a stressful day did not occur together with a bad allergy day. However, for a few more sensitive subjects there was a pattern of increased allergy symptoms on stressful days. The authors conclude that allergic individuals with persistent emotional stress have more frequent allergy symptoms. They recommend stress reduction techneques, such as meditation for the treatment of allergy symptoms. However, it should be noted, this study does not prove cause and effect. There is no evidence that the stress causes the allergy as opposed to the allergy causing the stress. Either way, stress-reduction is a good thing. * Patterson A, Yildiz V, Klatt M, Malarkey W. Perceived stress predicts allergy flares. Ann Allergy Asthma Immunol 112 (2014) 317-321.